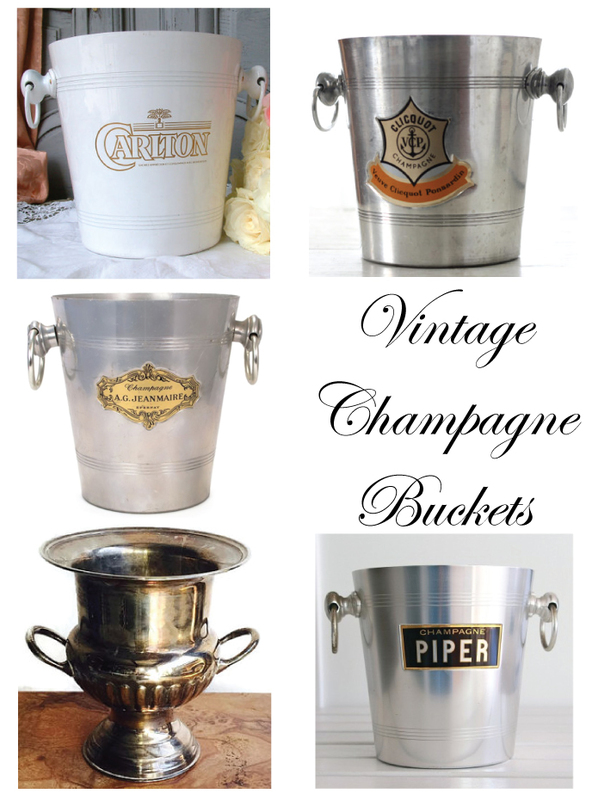 'Tis the season for vintage champagne buckets. I've been looking for one, and in case you've been too, here are some ideas. While my heart is always with Veuve, the gold, black, and white design on the Piper one is nice too. Decisions, decisions.